At an indicated ambient temperature, this characteristic is the relationship between the thermistor going through a current and time when the voltage is introduced or interrupted. This is the ratio of the change in a thermistor’s power dissipation to the change in its body temperature under specific ambient temperature. This ratio is usually expressed in mill watts per Celsius degree. This is the thermistor’s maximum body temperature under which it will continue to operate during a prolonged period without compromising its stability characteristics. Internal or external heat or both could generate this temperature, but body temperature should not go beyond the maximum value indicated. This acronym stands for “negative temperature coefficient.” This is a type of thermistor that exhibits a decrease in zero-power resistance when the thermistor’s temperature goes up. 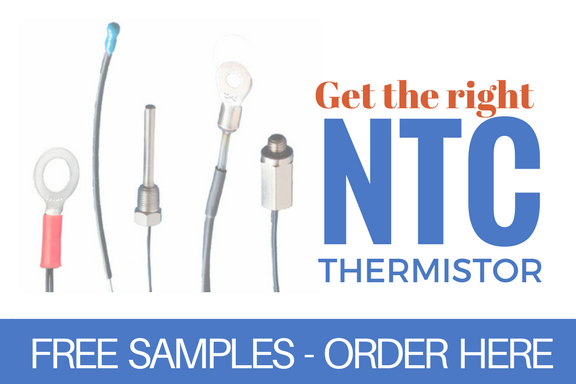 This acronym stands for “positive temperature coefficient,” and a PTC thermistor is the opposite of an NTC thermistor in that its zero-power resistance rises as its body temperature rises. 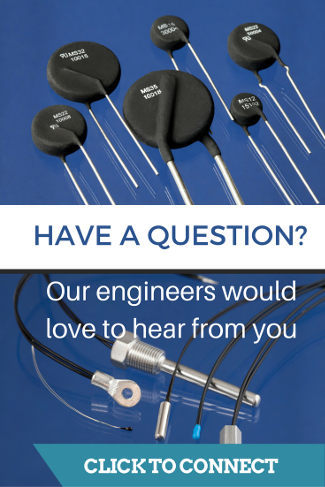 Thermistors are usually subjected to a variety of testing conditions. When they are able to maintain certain characteristics or qualities after testing methods are applied, they are considered stable. Twenty-five degrees Celsius (or 77 degrees Fahrenheit) is the thermistor’s temperature when the zero power resistance is nominal. This being one of the electrical characteristics most often cited. This characteristic refers to the relationship between the thermistor’s temperature and its steady-state wattage at a specified ambient temperature. When a thermistor changes 63.2% of the difference between its initial and final body temperature owing to a step function change in temperature under a zero-power situation, the thermal time constant is required. This refers to a thermistor’s resistance value (dc). It is measured at a specific temperature when the thermistor’s dissipation of power is sufficiently low. An additional decrease in power will be equal to not more than 0.1% in resistance change (or 1/10 of the tolerance, whichever is smaller).